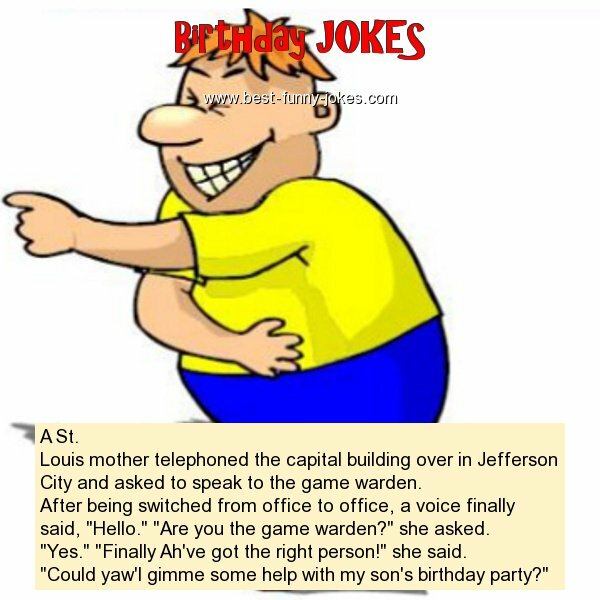 Louis mother telephoned the capital building over in Jefferson City and asked to speak to the game warden. After being switched from office to office, a voice finally said, "Hello." "Are you the game warden?" she asked. "Yes." "Finally Ah've got the right person!" she said. "Could yaw'l gimme some help with my son's birthday party?"